Attack 1 : Love Me!!!!! Flip a coin. 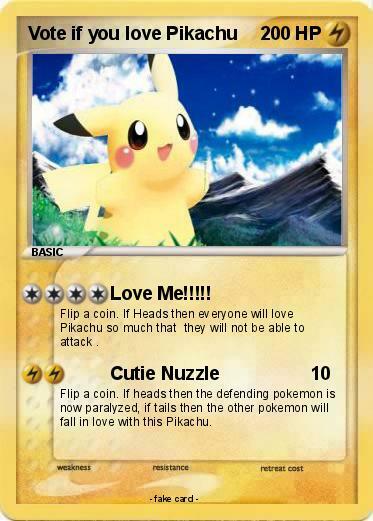 If Heads then everyone will love Pikachu so much that they will not be able to attack . Flip a coin. If heads then the defending pokemon is now paralyzed, if tails then the other pokemon will fall in love with this Pikachu.